The Barking and Dagenham Archives holds two key collections amongst the road safety films and home movies. The collection of Samuel Williams and Sons, Dagenham Dock films feature three hours of colour footage of dockside activities throughout the 1960s. This includes the launch of the first Hydrofoil on the Thames. This collection is available to view on DVD with DigiBeta tapes for reproductions. 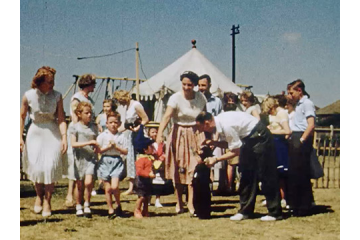 The Dagenham Film Coopoerative Society produced films (1947-1964) highlighting contemporary activities and life in Dagenham, some DVD and Digitbeta reproductions are available. We exist to find, preserve and make available written records of Barking and Dagenham's people and communities. Increasingly, those records are complemented by audio, film and photographic materials. The Borough's Archives and Local Studies Centre provides an invaluable resource for historians, researchers and individuals interested in family history, the history of the community in which they live, and the history of the Borough as a whole. Access: All archive materials must be requested to view in advance. Where DVD copies are available, these can be viewed in the Archives and Local Studies Centre. Opening times: Monday Saturday 10am-4pm (closed for lunch 12:30-1:15 Saturdays only). 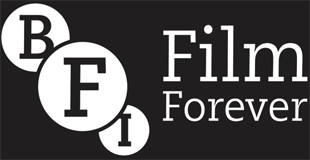 Moving image material is reviewed on an individual basis. The content must represent Barking and Dagenham. Implications of accessibility and preservation are considered as well as the value of content. The more I watch 'Seeds of Time' (1947) the more I see; the moral commentary on youth, civic pride and expectations. The use of colour brings vibrancy to this post-war period, full of optimism for the young members of the community.